The 3d food printing conference is back! The 3d food printing conference is back! 2017 is here and as usual the 3d food printing conference, could not fail us. This time moving to a summer edition. 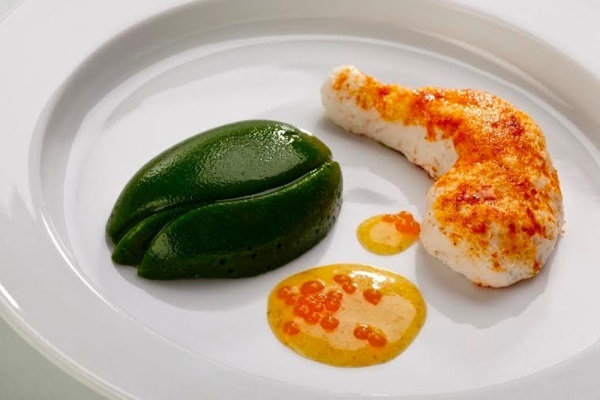 As with all 3D printing applications and aspects, 3D Food Printing is a huge hype. The 3D printing technology will be fundamental to the way people interact with food in the future. Supermarkets are already testing to 3D print customized cakes, restaurants are offering printed desserts. Some even claim that there will be a 3D food printer in every home in just two years. However, much research is required to change the hype into reality. Which industries will be influenced by the technology? Which food components can be printed in the near future? And which aspects whould be taken into account to ensure safety and maintainability of 3D printed food? The 3D Food Printing Conference will answer this kind of questions. Target: Suppliers to the food industry | agricultural industry | hardware and software suppliers | food research institutions | health care professionals | hospitality and catering professionals | trendwatchers | foodpreneurs | certification and food safety institutions. I am looking forward for the opportunity to be there. Not sure yet if it will be possible this year, but for sure I will try! Its always fun to meet other 3DFP addicts professionals! In this weeks video… Zoe explains us what is 3d food printing. She clearly knows how to end a video dropping the real truth!!!! No need for more words she is awesome! New media format coming to 3DIGITALCOOKS. Let us know your opinion. In this video I explained you the 5 reasons why I love 3d food printing. 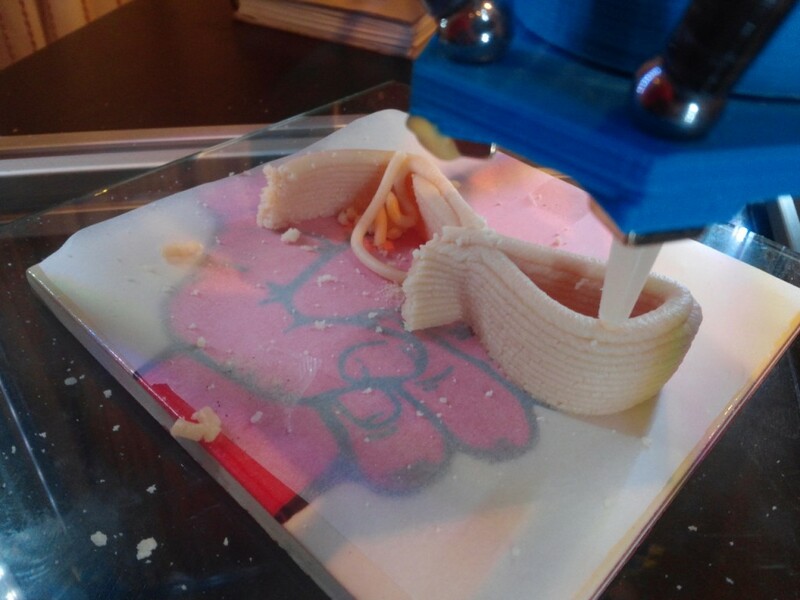 I won’t lie I started in the magic world of 3d food printing because was curious about what the whole reprap thing was. Soon enough when I started fooling around with food I realized that when I was showing to people my food prints they were extremely curious. And for the first time in my life I felt I was connecting with them to explain my work. That feeling was amazing. The reason was not because my work was great, it was due to the strong bond that connects people with food. And that’s what truly makes 3dfp special. 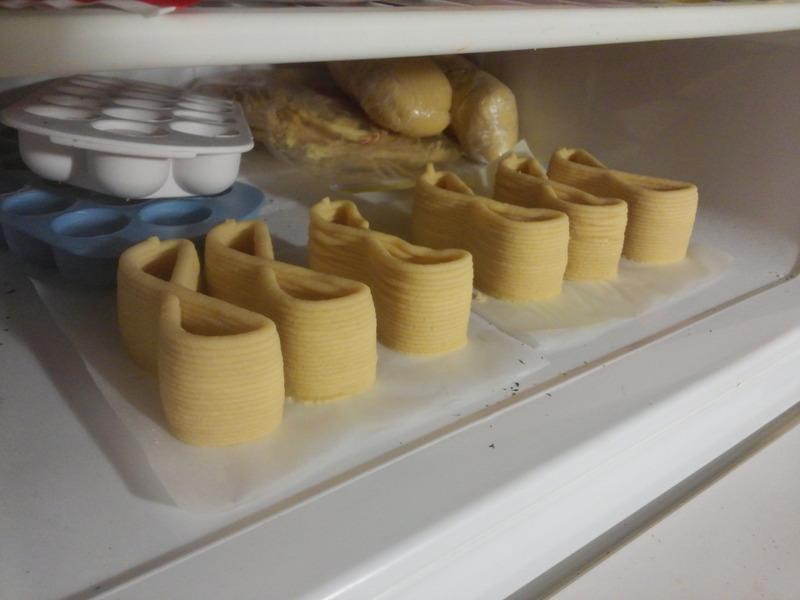 3d food printing is a house yet needs to be build. There is no paths to follow. Nobody has come with a solution that sets the standard. That gives total freedom to explore and feel like your work and ideas can have a bigger meaning. That also means that failing is a must, what can be disappointing. But how cool is to have the feeling that you are part of something new that has not yet even started. Its multidisciplinar. meaning that will need many many different jacket to come up with a simple digital recipe or even better make a lot of friends!!!! Cooking, food science, design, user experience, design, if you are going down the customization road, learn how to use available tools, and if you can’t find it build your own, software, hardware, … although it might seem overwhelming and challenging that will depend completely on you. This wide range of discipline will pay of allowing you to have a wider view of the world. Failing is sweet, eat ur failed prints! Surprisingly is quite social kids love to play and hang around it. Does not really matter how well you do because probably you will end up eating. Something that can not be said about 3d printing. I can not guarantee it will happen to you too. But 3DFP has completely changed my life. Period. It has allowed me to travel way more than i ever did, learn plenty of new things and even find amazing jobs. And the best part is the incredible people I have meet during my 3d food printing journey. To be honest the best part is that I feel it I am at the very very very beginning. Happy to hold our first live interview! We have an incredible update from Structur3d. In an incredible location… Pier9 kitchen. Enjoy! Friday 16 OCT 2015 will be the final conference in the 3 year long journey of the Performance Project. The Performance Project is a consortium of many groups, funded by a few countries in the EU to help people in assisted living homes who are battling with swallowing and masticating difficulties. They will also cover the ordering and logistics of the platform they’ve come up with to create a complete 3D food printing solution for these problems. When I first heard about the Performance Project I was very excited and had to hear more. Luckily the project was covered heavily at the 3D food printing conference by several of the participating organizations earlier in the year and we had a chance to talk with Pieter Debrauwer from TNO about it as well. We’ve met some of the people already and they definitely have the right people involved for this project. You’ll notice that Print2Taste and Melanie Senger will be there as well as they were involved in the project through the Hochschule Weihenstephan. We’re really looking forward to going to the Performance Project Final Conference and learning more about their research and how they’ve solved the issues of logistics and specific nutrient content. I think anyone interested in #3DFP will be as well, can’t recommend it enough that you go and check it out. It is too late to register to attend, but I’ll do my best live tweet-a-thon during the event and I’m hoping they’ll also records and release most of the Performance Project presentations and if we’re lucky maybe there’ll be a live stream! Our third day of experimentation printing cookies has arrived. 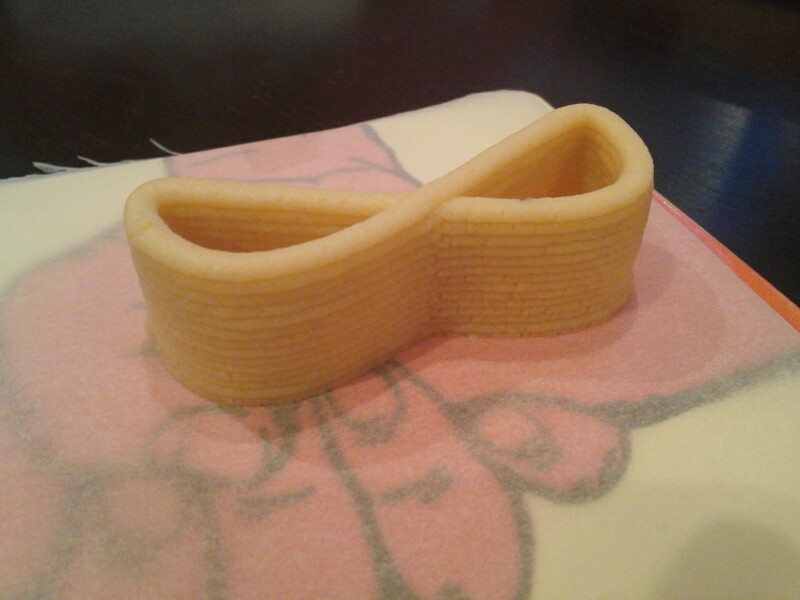 After failing with the current recipe, we wanted to give a try to a different cooking technique after printing. This time instead of baking in the oven we are going to deep fry the frozen cookies! After an intense day one of printing cookies. The baking Day #2 had arrived. Spoiler alert EPIC DELICIOUS FAIL EXPERIMENTS. After whole day in the freezer it was time for some baking experiments. The set up was easy. 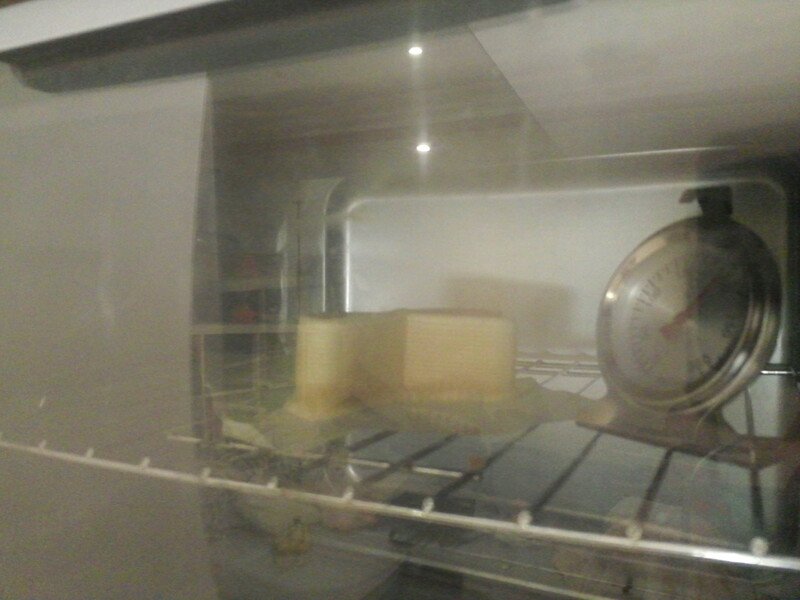 A small oven with a thermometer inside and a rough starting baking time for about 10 minutes. It is important to notice that all the cookies where headed directly from the freezer to the oven. We had different quality printed cookies. Our first go was with an uneven one. We placed the cookie on a sheet of baking paper on top of a oven rack on middle height. It completely collapsed after 3 minutes. First fail, that was showing that the day was not going to be a success day. This one was a better print with better structural shape. It hold its shape until minute 4. Oven rack middle height. Not sure why we decided to use a oven rack, from this test on moving to a flat surface oven tray. Middle height. 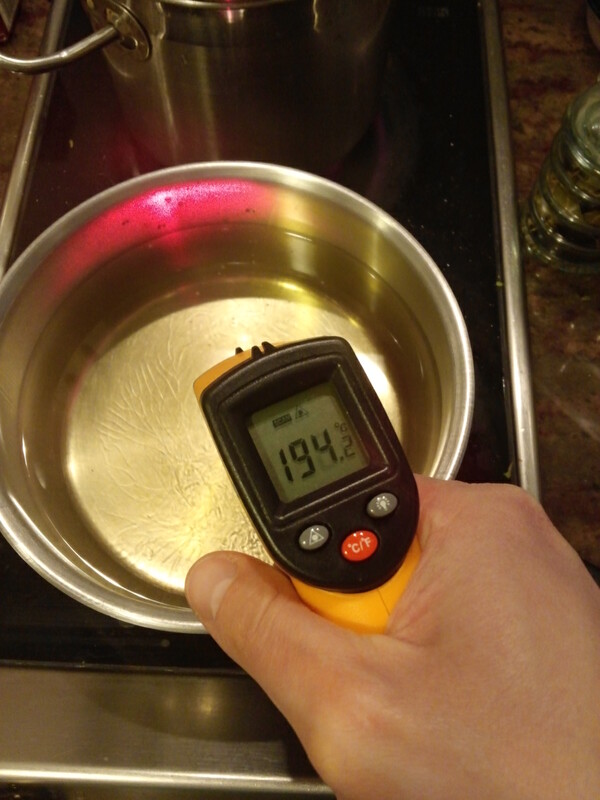 Cooking for 12 minutes. Base looks overcooks, we guess is due to the higher heat transfer properties of the metal tray vs rack and air. Running out of Ideas. Lets try printing on top of a ceramic plate, to see having a harder to head element helps preventing the cooking from collapsing (not lots of hope on this). 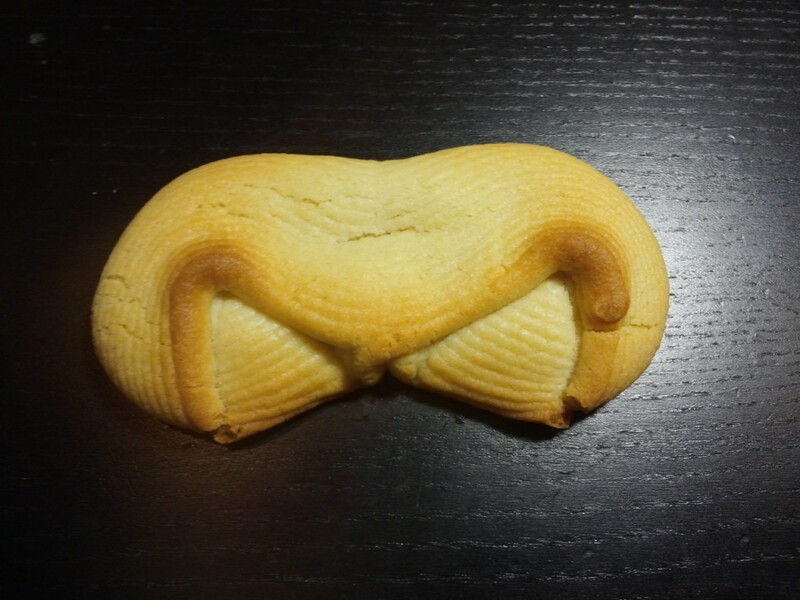 The shape of this cookie is good. Middle height on top of a cold tile (freezed for 30minutes). After six minutes collapsed again. We are getting the feeling we are going to need to tune the recipe ;). Still for our next cookie printing day we have a cool experiment pending first. 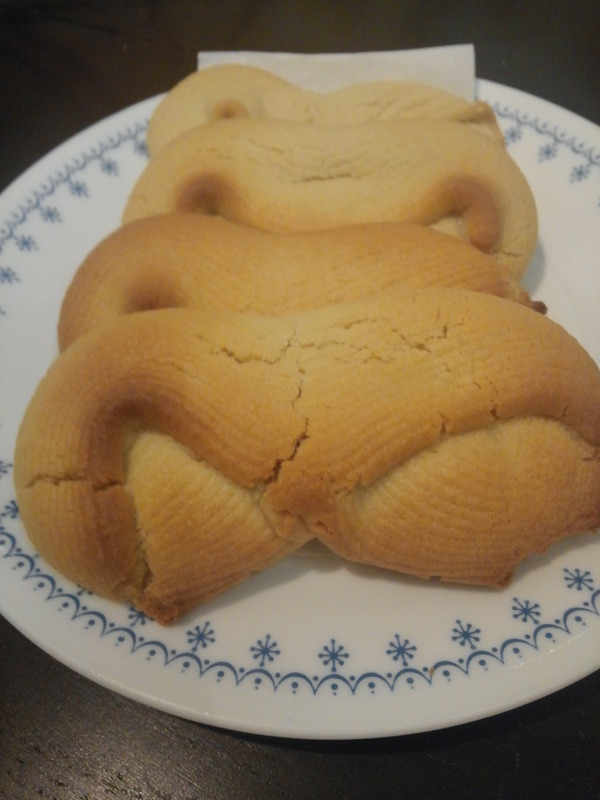 As usual, the good thing about 3d food printing is that even if the result does not look as expected, still is edible and delicious 🙂 Also this infinite cookies once collapsed weirdly look like the gmail logo to us. Cookie-cutters are fun. Baking cookies is fun. Do we need more excuses to start some printing cookies experiments? Thanks a lot to Lola’s Cake for helping us out a lot to get into the cookie world. 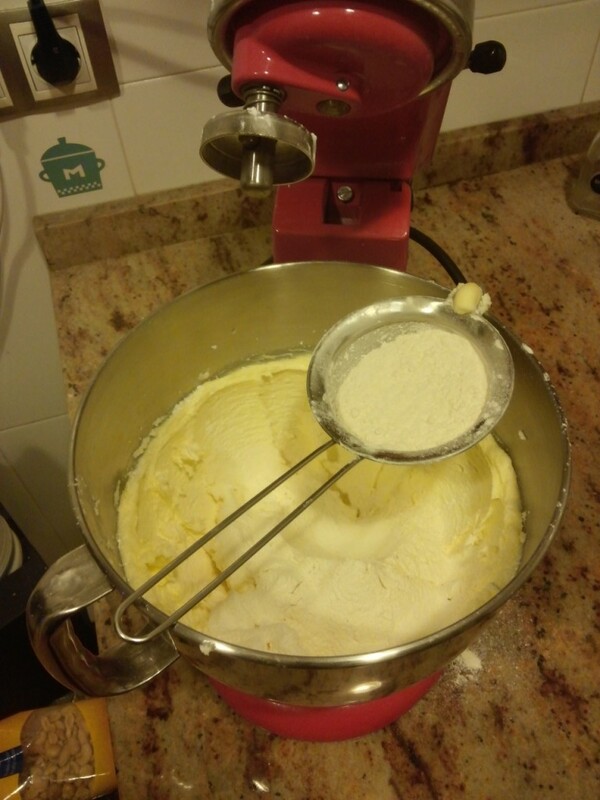 Mix the butter and the confectionery sugar until you have a creamy texture for 6 to 8 minutes. 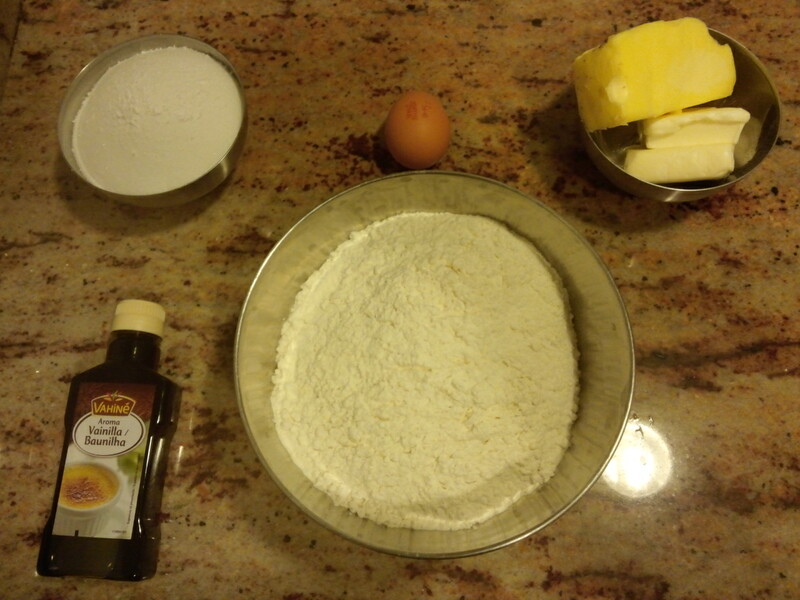 Add the egg and keep mixing until it is incorporated. Later sieve the flour and add it to the mix until you have a uniform cookie dough. Add aroma. Once we have our dough ready is time to check the pressure that our air compressed extruder needs. We are using a 4mm nozzle. And the loaded cartridge weights around 250gr (cartridge + cookie dough). Wow, it is a thick dough. After some extruding test, consistency is quiet good, but the dough is not elastic enough to hold together. Extruding pressure goes all the way up to 5 bars and the flow it is still quite slow. We added 50ml of milk to the dough and remix. check the side by side pictures. 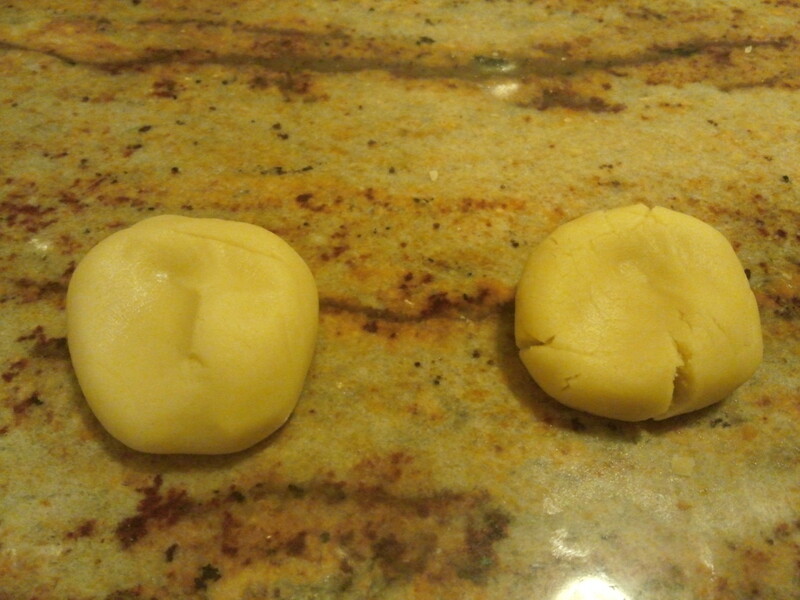 The dough samples were “hammered” to show how the one with milk (left) is more elastic also has less consistency. Also now with just 2 bars we have enough flow to start printing. For a 4mm nozzle a layer height of 1.5mm seems to give the best results for up to 30mm height. We printed 7 cookies that we are going to use in our baking experiments for the next cookie day :). If you are a regular 3DC reader you must know how we always try to avoid air bubbles, still wondering why? More food printing experiments for our next printing cookies day. 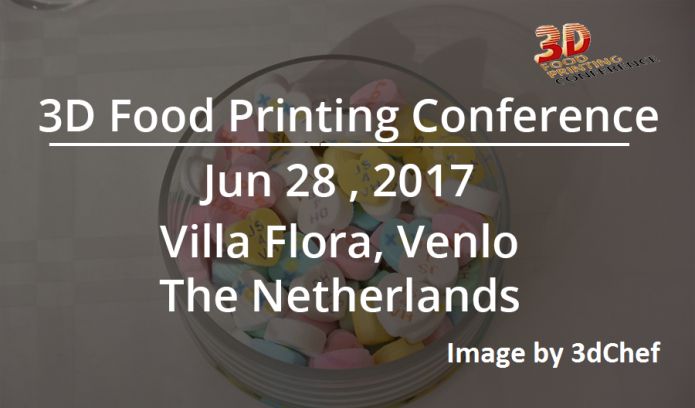 Next April 21st at Innovatoren in Venlo-Netherlands, the first edition of the 3D food Printing Conference will be held. Over ten conferences by experts from all over the world will help to discuss and bring 3d food printing from hype to reality. A great event to find out the current status of 3d food printing from key players and hopefully to taste some delicious samples. Thanks a lot to the 3D Food Printing conference for offering us a pass to the conference. We will try to deliver to all you a true insight of what happens there! 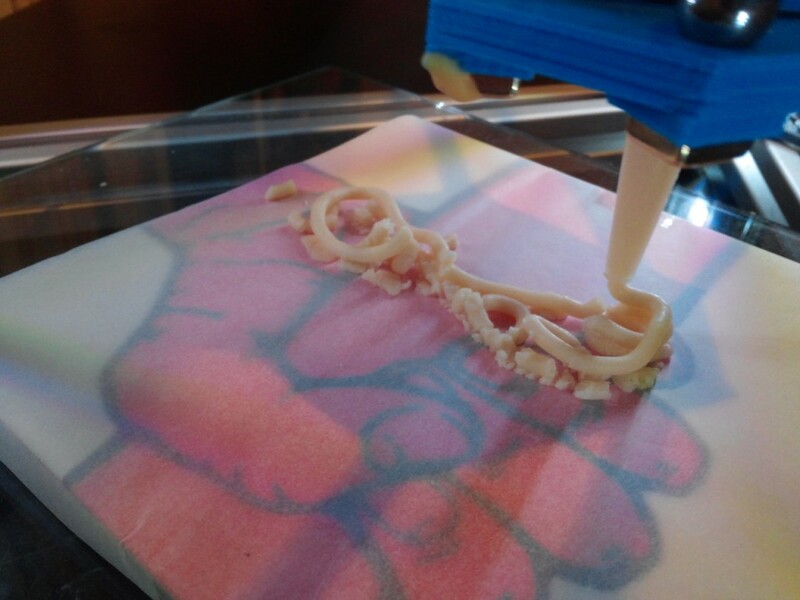 3D Print Show Madrid happened last week (March 12&13). We got the chance to visit the show as speakers during the last day of the event.